Apple Watch doesn't have a built-in sleep tracker, but that doesn't mean that you can't use it to keep an eye on your sleep habits. 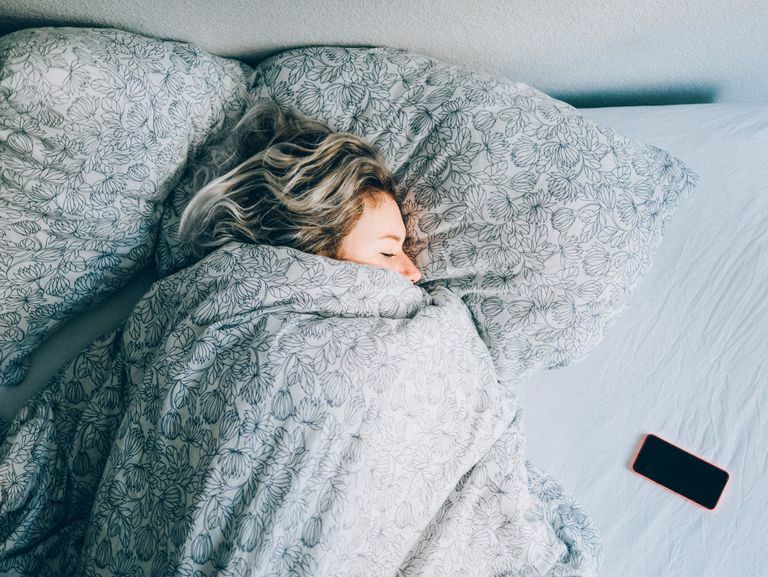 We've gathered up the best apps out there for sleep tracking, both simple and complex, so that you can make sure your sleep is better than ever. Options for both automatic or manual sleep tracking; manual option means you can track sleep without having to wear (or even own) an Apple Watch. Includes detailed sleep report, heart rate analysis, and audio recordings (for those who *think* they don't snore). Integrating with the Apple Health app requires the premium version. Averaging 4.4 out of 5 stars with over 30,000 reviews, Pillow is a clear favorite among iOS sleep trackers. The user interface is both easy to use and aesthetic, allowing users plenty of options to track and analyze their sleep. Sleep Rings, similar to the Activity Rings on your Apple Watch, track your sleep goals visually. AutoSleep will also analyze your sleep quality, detailing your time asleep, restlessness, time awake, and heart rate to score your quality of sleep (assuming you wear your watch to bed). There's not a free version, but at $2.99 the full version is one of the more affordable options and packs serious metrics. WatchOS 4.2 is recommended, but will run on WatchOS 3.2 or higher. AutoSleep is a top-rated option, currently ranked #1 in Health and Fitness apps in the App Store. The app has two options, depending on if you like to sleep in your watch. If you wear your watch to sleep, you don't have to do anything to track. If you don't wear your Watch to sleep, just make sure you put it on the charger when you go to bed and put it back on your wrist when you get up. Personalized insights use your lifestyle to help recommend better habits that work for you. Automatic sync to the Apple Health app with the free version. The premium version available for $2.99 seems as if it might not be worth it, unless you're looking for an online community to support your sleep habits. Another great automatic option, SleepWatch takes your stats and adds in artificial intelligence to make recommendations to you for how to improve your sleep. The premium app option also includes access to an online community to compare statistics and get recommendations from others. This app allows for you to adjust the sensitivity of the movement detection; so restless sleepers still get credit for their zzzzz's. Trend graphs are easy to read, along with providing daily summaries. It takes some patience to adjust your sensitivity to accurately track sleep/wake times, especially for naps. FitBit users might recognize the look of Sleep Tracker; it closely mimics the sleep tracking function on FitBit. This app allows for automatic sleep tracking for both overnight sleep and daytime naps! The compilation report will tell you how your sleep habits are shaping up. The app is simple and clear, providing basic reports and visuals that are easy to understand. As a simple app, it's also one of the smallest at 6.9 MB so it won't take up tons of space on your device. There aren't many in-app advertisements, but you can remove the ones that are there for $1.99 (does not add any additional features). Take out the frills of other apps and you get Sleep++. The simplicity is popular, with the app showing you a start button, stop button, and a little blue chart to display your sleep patterns. Like AutoSleep, it can sync your data to Apple Health and will automatically log sleep when activated on the iPhone app. Solid accuracy in sleep tracking. Easily view Heart badges on your Apple Watch. Timogotchi provides motivation for meeting your goals with fun feedback and responses. App interface can be crowded, if you're only looking to track your sleep then you might want a more simple option. A larger app, almost 20 MB, takes up device space. HeartWatch is first an app for tracking your heart rate data, alerting you to any activity that is out of the ordinary. But it also tracks your sleep, then maps your heart rate data to your sleep habits. This allows you compare your sleeping/waking heart rate; your sleeping heart rate is a good indicator of your overall health.